Fitz is about to discover the truth about the Fool's prophecy. Having been resurrected from his fatal tortures in Regal's dungeons, Fitz has once more foiled Regal's attempts to be rid of him. Now, back in his own body, and after months of rehabilitation, Fitz begins the painful and slow process of learning the ways of a man again. Under the watchful eye of Burrich, old King Shrewd's Stablemaster, Fitz must learn to cast off the wild but carefree ways of the wolf and enter once more the human world: a world beset ever more viciously by the relentless Red Ship Raiders who are now left free to plunder any coastal town they please. But more immediately, a world in which he finds he is utterly alone. Regal has stripped the kingdom of its riches and retired to the inland city of Tradeford. 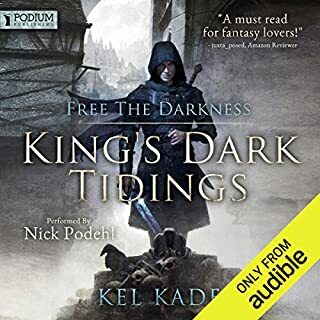 Of Verity, on his quest to find the legendary Elderings, there has been no word; Molly, Kettricken, and the Fool have all vanished. Unless Fitz can find Verity and help him in his quest, the Six Duchies will perish and there will be no safe place to live. What did you like most about Assassin's Quest? 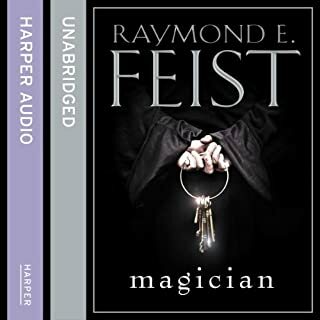 I have read this trilogy in the past and it was lovely to simply be able to listen. 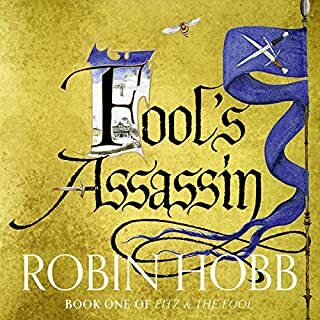 Hobb's ability to construct a believable fantasy world and draw us in. The notion of 'skilling' and 'the wit' are unique and clever. No, but only because of the narrator. I think that Boehmer may well have been acceptable to American audiences. I've noticed those who disliked his style in this book seem to be non-Americans. It would be good for Audible to cater for an international market and iron out these glitches. great performance, good conclusion to the trilogy, if you've come this far you really ought to finish. 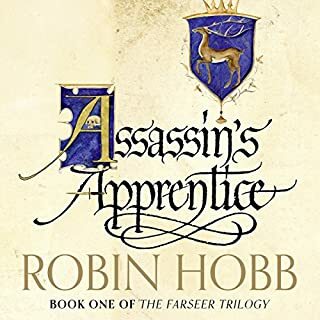 When I started listening to Assassins Apprentice I struggled initially to adjust to the narrator's accent, but by Book 2 it was all good, he does a beautiful job of 'voicing' Nighteyes... This is a fantastic book and end of the trilogy. Amazing book, the narration was fine but not how I had hoped it would be. This last book is my favourite of the trilogy! 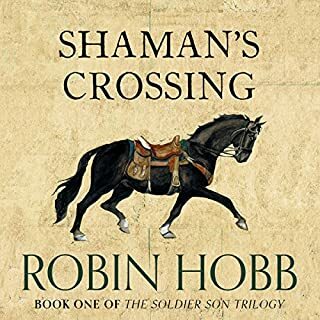 I enjoyed it very much and look forward to reading more of Hobbs works. I have thoroughly enjoyed listening to this book and look forward to hearing others. wonderful. Very worthwhile purchase, my only small issue was thought the ending could have been a bit better. I love this whole series. This book has you heart in your mouth the whole way. so many twists and turns new and old characters. Such a good book. I loved every minute of it, right up until near the end. 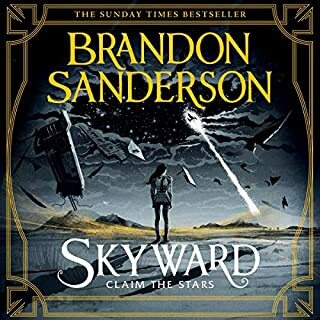 It then seemed like the author just wanted to be done with it, like some things just magically happen or things that the lead character has been struggling with always he just sort of suddenly succeeds with, the cavalry files in from overhead and saves the day etc. A little bit too easy it feels like, when comparing to the otherwise very long and detailed book about every minute of this guy's life. I hate it when you know the plot twists before the protagonist. I was just thinking he must be an idiot if he can't see it. I cared about the character, but I was annoyed his development was slow in parts, and that he always reacted emotionally. Considering what he'd been through you'd think he would have got a handle on his emotions and never seemed to develop. He was also thick, you can see plot twists coming a mile away, but the hero never seems to which had me yelling at my car stereo "you idiot!" more than once. But I did like the characters, I liked the overall story and I liked the world building. I think if this book had been written today it would be returned to the author for a rewrite. For example detailed supporting characters that you never see again. But in spite of all its flaws, I'm glad I listened to it and there was more to enjoy than to dislike. I really enjoyed the other two books in this series. Which in a way makes this book even worse. Everything I liked about Fits is removed, and all that is left is a stumbling selfish idiot. He has become a slave to his emotions (mainly fear) with no resolve. Several times after deciding something he would just turn right around with the excuse "I could not stop myself" or "I just had to do it". At one point I got so angry over one of these I had to stop the audiobook and go hit my kitchen table. In fact if I think about it, I don't like the way any of the characters have developed, except for perhaps Nighteyes. After every chapter there is a section where the narrator just gives reader information about the world. These are often repetitive and we get told a lot of things we already know. At at least two points the narrator pauses from the story and provides spoilers of whats gonna happen. I just started with part 5 and i honestly don't want to continue. I think I'll just pretend book 2 ended with Fits living happily ever after as a wolf. I enjoyed most of the book. At times it was really slow and I almost felt like stopping, but most of the time it was enjoyable. The first two books were better in my opinion. Started off as good as last books, but lost me efter a while. Storyline got hard to understand and was heavily romanticized at times. Also the author shouldn't misuse "decimated" or use "irregardless"
Yes. It is a moving story of commitment and loyalty set in quasi medieval times. 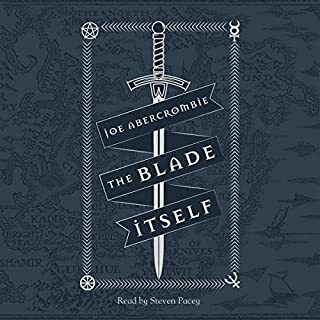 I read the trilogy and feel that I was given even more by hearing it too. 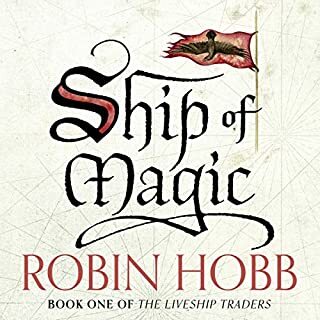 Robin Hobb is a Master storyteller and novelist. I read her Farseer Trilogy previously. Also her other works. I loved it so much that now, I listen to the audio version. It's a work of art, which I'll read yet again. I can honestly say that I'd recommend this to anyone. Feel free to read her other works as well! This series of books is one of the few of the best books that I have ever read. I have read the series about 3 or 4 times and love them. 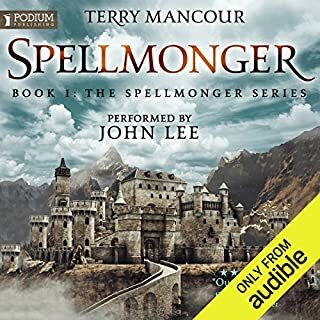 There is nothing wrong with the book or the story, however the voice over is so wrong for the character, and you may be dissapointed with Nighteyes voice. I am so sorry to Paul Boehmer but his accent and pronunciation is so very wrong for the chacter or Fitz and Nighteyes, and for telling the story. I felt it needed to be a bit more ragged and gruff - more masculine! Paul is slightly camp and a bit too genteel sounding and if you've read the books.... He does a good Chade however. I would most definately see the films if they were made. 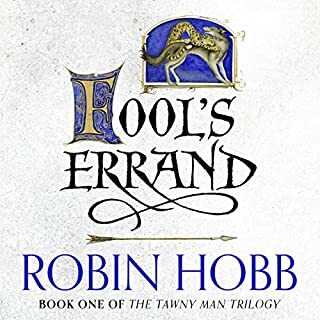 This series of books, the Tawny Fools series and the Liveship Traders series are such engrossing and delicious reads you simply can't put them down. I love them dearly and re-read them regularly and would encourage anyone - even if you're not a fantasy reader to read them. I have been spoiled with these books however, and cannot find anything as good that I want to read! 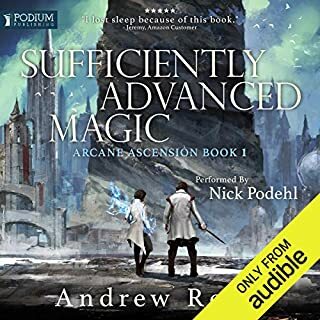 Would you consider the audio edition of Assassin's Quest to be better than the print version? This is a good follow on from the other book and well read. The information referring to what happen previously helps the listener. Which character – as performed by Paul Boehmer – was your favourite? Must read and catch up with others in the series. 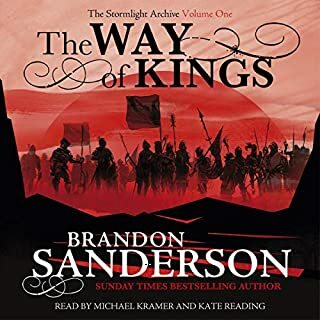 After having listened to the first 2 books I this series I was looking forward to the concluding book in the trilogy but it was a disappointment. The reason being that although the basis of the story was good and followed on from the first 2 books for some reason the author decided to drag it out with what appeared to be meaningless waffle. It was approx 10hrs longer than the first 2 which could have easily been cut and maintained the integrity of the story. Really loved this trilogy and to be honest, it was due for a 5 out of 5 until the end. I dropped a point though because the ending was essentially a summary. I was looking forward to what I thought would be the pinnacle of the book. But what was presented was a summary. It felt strange as it was not at all in keeping with the style of the book. To me, it felt like an afterthought, 'Oh, and if you're interested in what happened, A did B, and X did Y'. The 'epilogue' was more in keeping with the style though. All in, I wouldn't hesitate to recommend this trilogy. Just be warned of a seemingly rushed ending. This book had me hooked from start to finish. 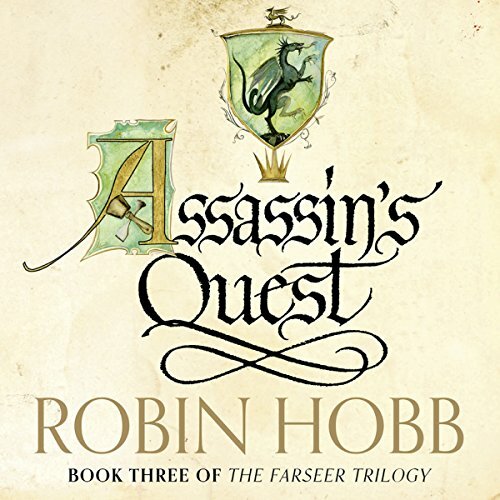 Once again Hobb brings the tale of the Farseer family alive, Following Fits Journey which is full of twists and turns. Great ending to the Trilogy. 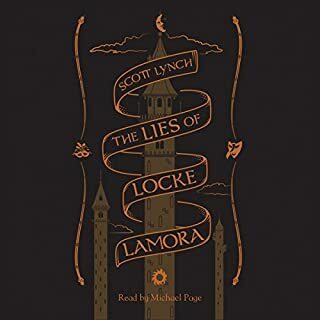 I really enjoyed this book but the reason why I gave Performance 4 stars instead of 5 was because the narrater repeated himself on a Occasions, it didn't spoil my enjoyment of the book though and I wouldn't let it stop other Listeners downloading this book. There are many similarities to Patrick Rothfuss or vice versa depending on your perspective. 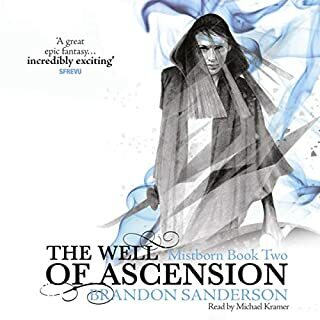 You follow a small boy who grows up learning a kind of magic he never really knew he had and learning to be a Kings Assassin. Great characters who you will learn to love and hate. 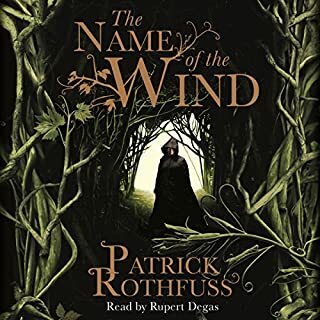 If you've read Patrick Rothfuss and are looking for something as good then you won't go far wrong with this Trilogy. Good book, ending was good. Characters had closed endings, all in all a good read. Well now the narrator really is all the characters, the book is brilliant. Sadly though after all the patience spent coming to grips with this narrator, it is all change for the next series. 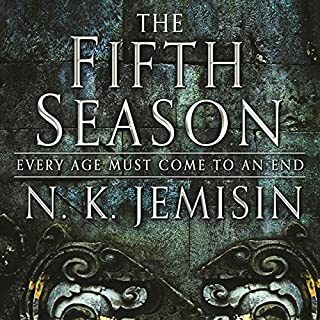 I'm taking a short break from any further books in the series, as I need to clear my head of this narrator in preparation for the next one.